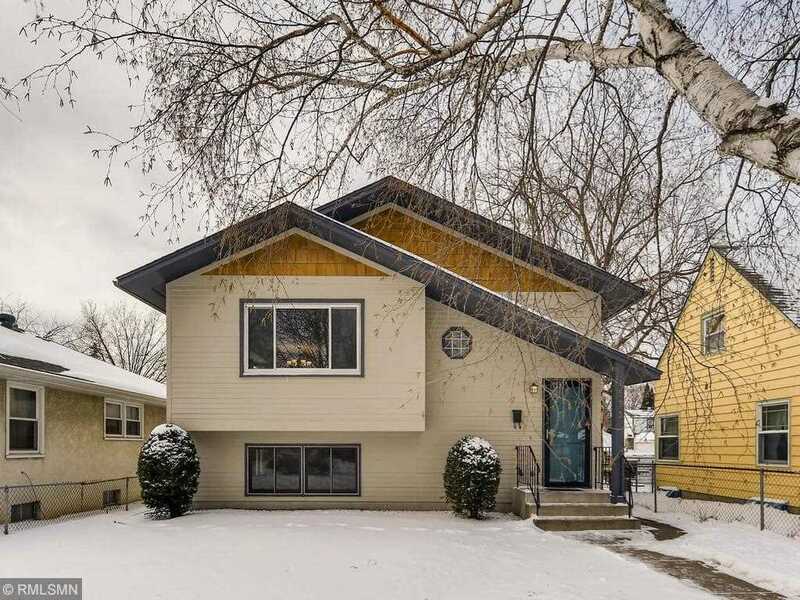 Beautifully updated sunny home in desirable Como Park neighborhood. Spacious 4 bedrooms, large living room and lower level family room. Recent updates include gorgeous new plank flooring, new carpet, and contemporary lighting throughout; brand new kitchen counter, sink, faucet, microwave, refaced cabinets; as well as fresh paint throughout exterior and interior. In past 5 years, new roof, dishwasher, stove and hot water tank. Easy access to parks, freeways, bus lines, restaurants and shopping. Directions:From Hwy 36, south on Lexington, left on Hoyt (1st light after Larpenteur), in 7 blocks road jogs right on Grotto, left on Hoyt, and first left on Alameda. Third house on left. SchoolsClick map icons below to view information for schools near 1553 Alameda Street Saint Paul, MN 55117.